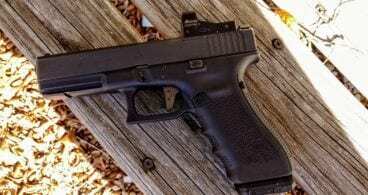 45 ACP vs 9mm – Which is Better Overall Caliber For Survival & EDC? The battle between 45 ACP and 9mm is a battle between titans. The gun industry and serious shooters often divide themselves in the 9mm or 45 ACP camp. The best way to figure which is the best round is to have an honest evaluation that looks at multiple factors. No matter where you go, you will find people on both sides of the fence and both calibers definitely have their advantages. Many times, the right caliber can come down to personal preference. Let’s break down 7 important factors including capacity, ergonomics and cost. The 45 ACP is a classic American round. Invented by John Moses Browning, the 45 ACP became the military’s choice standard issue pistol round for over 70 years. Designed initially for use in the 1911 handgun the 45 ACP quickly became an American standard. It quickly found its way into the M1917 revolvers by both Colt and Smith and Wesson, and became the round of choice for the Thompson and M3 submachine guns. The 45 ACP is still a favorite round for American shooters, especially in the 1911 pistols and its variants. It’s a popular heirloom piece or shooting range queen that many Americans pack their range bags with on a weekly basis.. The 45 ACP is also a favorite round for those who shoot suppressed. This big bullet is not going anywhere anytime soon. The 9mm Parabellum, or 9mm Luger, was designed in 1902 by George Luger. Like the 45 ACP the round was built for military use and was chambered in the Luger P08 model handgun. The 9mm spread across Europe and became an instant classic. It’s almost as popular in America now as the legendary rimfire caliber, the .22 LR. The round became the NATO standard and was adopted by the American military in 1985. 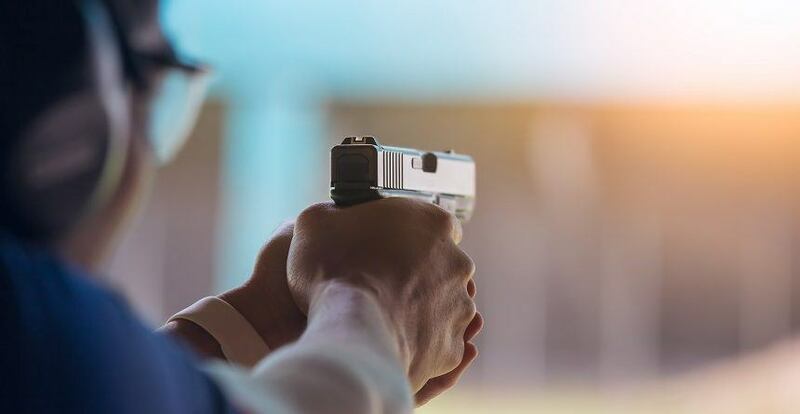 The 9mm has experienced a massive resurgence in popularity due to the increased interest in concealed carry and superior ballistic technology. The 9mm round is only becoming more and more popular with agencies like the FBI adopting the round over the 357 SIG and 40 S&W. Cost is a major issue when purchasing a firearm. The cost difference between the similar models of firearms is often very minor. The cost of ammunition is where the biggest problems lie. Most often the price difference can be a major factor when it comes to purchasing ammo to seriously shoot and train with. The 45 ACP is a big round, and any time more metal is involved the price rises significantly. 9mm is also made in larger bulk to fulfill police and military orders so the price of components are commonly driven quite low. In almost all ways 9mm is cheaper, for both defensive ammunition and reloading components. The average price for Winchester White Box 45 ACP target ammunition is 21.49 on Midway. The price for Winchester White Box 9mm is 13.00 dollars a box. With defensive ammunition there isn’t a major difference. Most people will shoot target grade full metal jacket loads, and not defensive ammunition. So there is a clear winner in this category. Bullets can incapacitate people in three different ways. The first is pain. Pain compliance is subjective to each person, and isn’t what you want to stake your life on when it comes to defensive ammunition. The second way is striking a vital target that shuts the body down. This is the most effective method to stopping a threat. The third method is blood loss. Blood loss can be caused by nicking something vital or by creating a big hole throughout the body. As standard full metal jacket rounds go the 45 ACP is bigger, and can create a bigger hole. When it comes to defensive ammunition there is only a small gap between the two rounds. Testing with Winchester PDX defensive loads shows some interesting results. The 45 ACP load uses a 230 projectile that has a velocity of 860 feet per second and the ability to penetrate through 20 inches of ballistic gel. The projectile also expands from 45 caliber to 61 caliber. The Winchester PDX 147 grain load for the 9mm has the ability to penetrate through the same 20 inches of ballistic gel and hits at 945 feet per second. The round expands from 35 caliber to 54 caliber. Clearly the 45 caliber round has the size advantage. The 9mm round is faster though, and is more efficient in expansion. Both will get the job done, but being objective the 45 ACP does have a slight advantage. To make a round truly silent you have to conquer two main issues. The first is the explosion from the barrel, the second is the bullet’s snap as it enters supersonic speed. A suppressor equipped pistol can easily control the explosion from the barrel, but the supersonic snap is a different story. To conquer the supersonic snap you have to slow the bullet down considerably. One of the primary advantages of the 45 ACP ammunition is its natural subsonic nature. The standard and affordable 230 grain full metal jacket load is naturally subsonic. 9mm loads in 147 and 135 grains can be subsonic, the issue is that this ammo is somewhat specialized and expensive. It can also be hard to find when shopping locally. 230 grain subsonic 45 ACP is easy to find and affordable. The use of pistol caliber carbines is becoming more and more popular with the general public. Pistol caliber carbines have been popular enough that major manufacturers are releasing multiple options in pistol calibers. 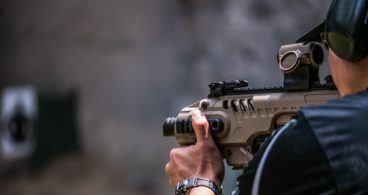 Pistol caliber carbines now have their own category in USPSA as a testament to their growing popularity. Matching your handgun and carbine calibers can be a major advantage when choosing a caliber. The ability to share ammo is a tactical advantage. The 9mm is the round that is most commonly used for modern pistol caliber carbines. This includes the MPX, the CZ Scorpion, the Kel Tec Sub2000, Colt SMG clones, and the PSA Freedom Carbine. This list is growing daily. The 45 ACP has a healthy amount of 45 ACP options too. Like the Kriss Vector, the JR Carbine, and the Hi Point 45. The biggest difference is that all of these carbines are also chambered in 9mm. The 9mm carbines listed above are only 9mm or 40 S&W. 45 ACP has very few exclusive carbines. The main one is the Thompson carbine, clones of the famous ‘Tommy’ gun. Other than that if it comes in 45 ACP, it probably comes in 9mm. If it comes in 9mm it might come in 45 ACP. 9mm does offer the most pistol caliber carbines and a massive amount of affordable magazines, and dedicated platforms. Capacity is a critical concern in different ways. Police and military may be in a situation where firing a ton of rounds from a handgun is completely necessary to suppress a target. In this situation more rounds are always better. Concealed carriers most commonly carry smaller handguns with reduced capacities already. In this case an extra round or two can be a major game changer in a gunfight. If you have the ability to carry more rounds why wouldn’t you? The 45 ACP is a big bullet, and was originally designed to be used in a single stack handgun, primarily the 1911. A double stack 45 ACP results in a massive grip that can be uncomfortable for concealed carry. Even in a 1911, it’s still a thicker gun, weighted down by metal and difficult to carry unless you have an extremely durable holster. A 9mm will most commonly offer a higher capacity than any 45 ACP. A double stack 9mm will barely be any thicker than a 45 ACP. On a double stack versus double stack basis the 9mm can hold anywhere from 15 to 19 rounds and the 45 goes from 10 to 13 rounds commonly. Single stack 9mm can often carry 8 to 10 9mm rounds while being substantially thinner than a 45 ACP single stack that carries 7 to 8 rounds. The 9mm is the winner here. Recoil can become an issue when it comes to accurate shooting, rapid shooting, and one handed shooting. Recoil affects everyone differently, but there is a difference between the 9mm and 45 ACP round. Neither round is absurdly uncomfortable or particularly hard hitting. Both rounds have been in the United States military so people of all size, experience levels have utilized both rounds effectively for years. The 45 ACP is forced to project a larger, heavier round, therefore with most ammunition there is more felt recoil than the 9mm. The 9mm is comfortable in guns of all sizes. Full size 9mms have hardly any recoil. The size difference between 45 ACP and 9mm creates a size difference in firearms. This difference isn’t noticed between 9mm and 40 S&W or 10mm and 45 ACP, but between 9mm and 45 ACP there is a big jump. This is most noticeable among double stack firearms. The 45 ACP will have a noticeable wider grip, and wider slide to accommodate the big round. 9mm firearms tend to be more compact and easier to conceal carry. The big question is there a winner in this category? Ergonomics are subjective, and gun makers create different size guns. 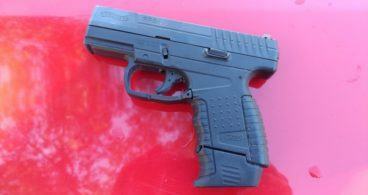 If you like a wider grip then 45 ACP is for you, if you prefer a thin grip, go with 9mm. The 9mm won in quite a few more categories than the 45 ACP. While both rounds will get the job done, the 9mm is ultimately the better round for both EDC and survival scenarios. 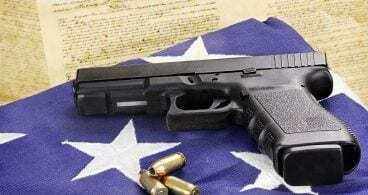 The 9mm projectile is constantly improving and is quickly becoming the round of choice for police agencies around the country for good reason. The 45 ACP is still an American classic, and if you are looking to run a silenced weapon it is the more affordable route to take. If you can only afford to own one gun though, capacity, cost, availability and reliability make the 9mm tough to beat for just about any caliber. Chris is a firearms enthusiast and gun collector. He has a number of guns, like his AR-10 or M&P 9mm that he shoots regularly. He is a firearms hobbyist and has been adding to his firearms collection for over 20 years. He is also the lead editor at GunBacker.